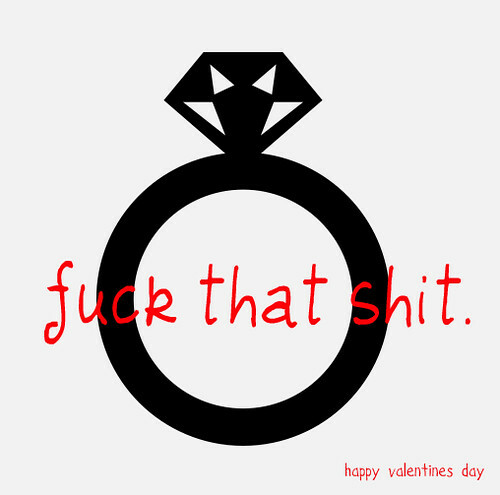 I love how bold this is as an anti Valentine’s Day card. I like how to the point this poster is. I was unable to find the original post but I am assuming it was an assignment from the assignment bank. I also like that it still states happy Valentine ’s Day but takes the pressure away of making big commitments and things on valentine’s day. It promotes the idea of just caring for another person without pressure.